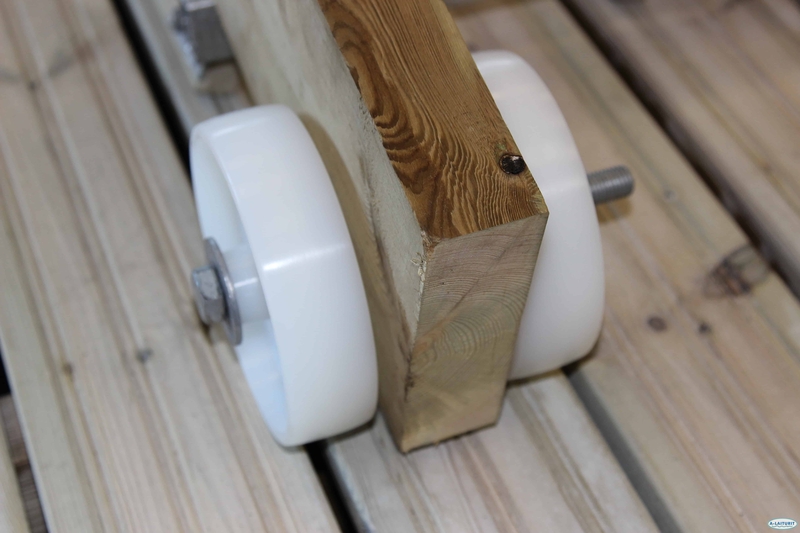 The wheel, made from weatherproof nylon, is installed at the unattached end of the boardwalk, allowing the bridge to follow the movements of the pontoon. 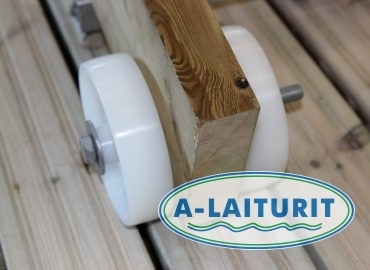 The axle-structure is easily installed in the preferred location on the wooden construction using coach screws. Fastening accessories are included with purchase.